Why cant I ever be with you? Home » tiler_james » Pictures » Why cant I ever be with you? 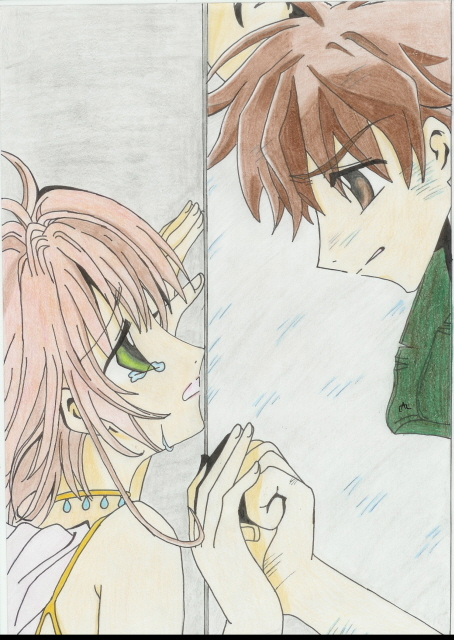 I drew this back in October '05 at school I think... It's Sakura and Sayoran from Tusbasa. This image is in Vol 1 within the first couple pages of the manga, which is what I used as a reference. They're divided in between by glass! So they aint actually touching eachothers hands and hense the name of the pic. Date Submitted April 27, 2007, 8:32:02 AM Time Taken Hour or so? Very adorable. :] Good job.